﻿ Baan Dinso 2, Bangkok | FROM $14 - SAVE ON AGODA! Have a question for Baan Dinso 2? "The staff were great, the hotel in a great spot, breakfast great, the roundabout was a little noisy at times." "Consistently clean room and efficient staff." 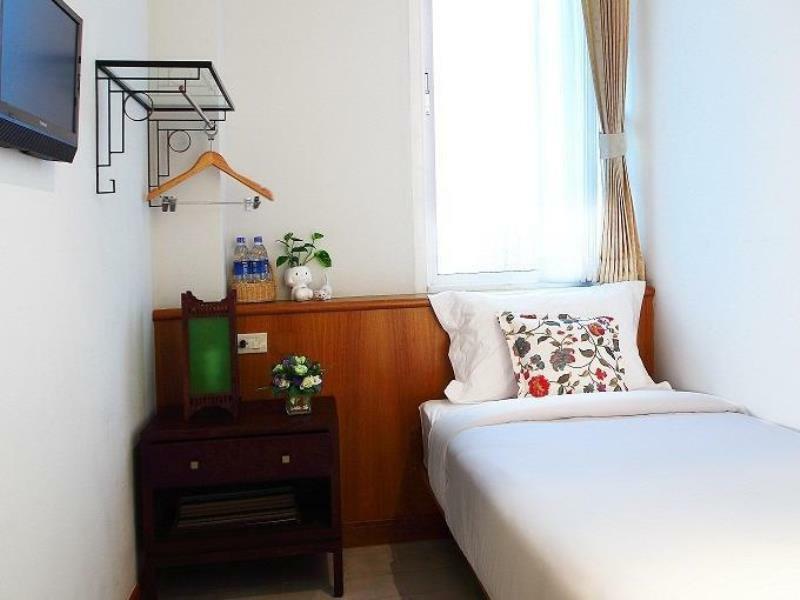 "Easily accessible by bus from BTS Ratchathewi and conveniently located near major landmarks/attractions in Rattanakosin/Bangkok Old City area." 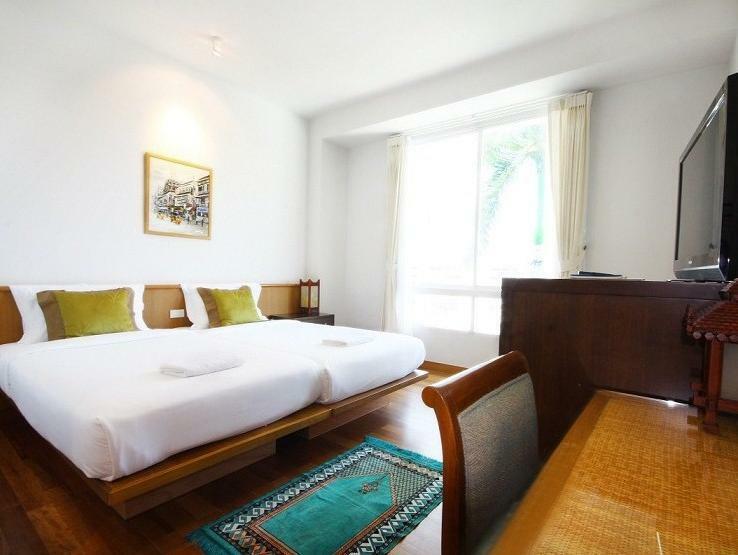 "Liked friendly staffs, cute interior and the breakfast was s..."
Designed for both business and leisure travel, Baan Dinso 2 is ideally situated in Khaosan; one of the city's most popular locales. From here, guests can enjoy easy access to all that the lively city has to offer. 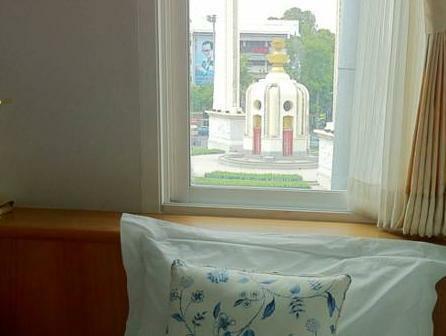 With the city's main attractions such as Democracy Monument, Queen Sirikit Art Gallery, Ratchadamnoen Avenue within close reach, visitors to the hotel will just love its location. Offering hotel guests superior services and a broad range of amenities, Baan Dinso 2 is committed to ensuring that your stay is as comfortable as possible. This hotel offers numerous on-site facilities to satisfy even the most discerning guest. Experience high quality room facilities during your stay here. Some rooms include television LCD/plasma screen, complimentary instant coffee, free welcome drink, slippers, smoke detector, provided to help guests recharge after a long day. Throughout the day you can enjoy the relaxing atmosphere of the massage. Whatever your reason for visiting Bangkok, the Baan Dinso 2 is the perfect venue for an exhilarating and exciting break away. "Spent 5 nites, and all is great." I'm sad I only discovered the menu on my last day. the breakfast was amazing and so generous. I was really impressed for the quality of the hotel vs the price small quiet room with AC close to Khaosan road. Located right across Democracy Monument. Easily accessible by bus from BTS Ratchathewi and conveniently located near major landmarks/attractions in Rattanakosin/Bangkok Old City area. Just one block from Khao San Road and Bangkok City library. Very clean room with blackout curtains. Soft bed and comforter. And a nice touch: complimentary ear plugs. Was there for the Amazing Thailand Marathon Bangkok. Was delighted to find that the start and end point for HM is only less than 200m away. You can get food and groceries at the restaurant, around the corner and at 7-11 stores. The shared bathroom is very clean. The only thing is I took a while to find the place, unaware that registration for the room is via the counter in the restaurant. I stayed here two nights and it was a really nice experience. Out of three different accommodations I had when I was in Bangkok, I think this place was the best one! They have a laundry service which was a great service for a solo traveler like me, but the price of the food was a bit too much. Perhaps because they are sort of like a cafe style, but the setting was amazing. Overall nice place and would come back again! Single rooms small but sufficient, and nice daylight ! Very clean. Some traffic noise at front building, but not so bad. Earplugs provided for light sleepers. I do plan to come back, very hsppy sbout my stay. I loved this hotel! It is in a great location, close enough to Khao San Road to walk but far enough away that the loud music and partiers cannot be heard. There is also a bus stop close by, which is a prime location for reliable taxis. (But make sure that you either tell them to use the meter or agree on a price before you start driving). The food at this restaurant is surprisingly good, some of the best we had in Bangkok. We will definitely come back! Rooms are clean and comfortable. Aircom works perfect. Staff friendly and helpful. 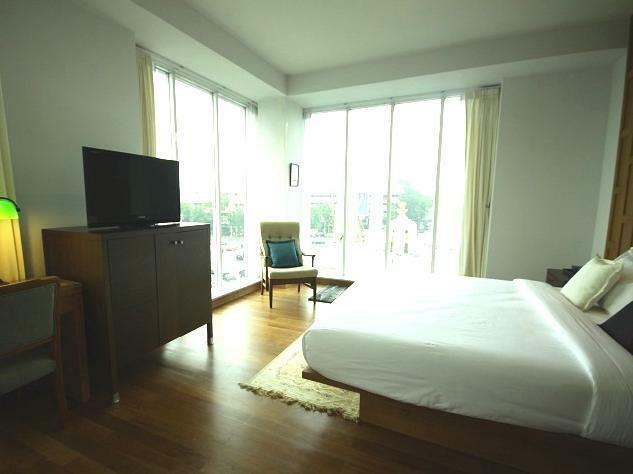 Location is great, 5 minuite walk to khaosan road and not far from emerald buddha and other attractions. I came 5 days ago and i am back again. Will reccomend to anyone. Great stay. I have been to Bangkok many times, but this has been one of my happiest stays. Compact, clean room with a window. Good A/C. Great library area to share with other quests, on each floor. Nice restaurant! I love to stay in this hotel. It's not only located on the main road, but also its reasonable price, great view and nice staffs. For foreigners, this hotel is one of the best choices I can say. It's very suitable for backpacker. Love it! I had a pretty good stay at the hostel. It was clean and the staff was very nice and friendly. The only negative thing about the hotel was the food. I only had the breakfast and it was a little cold, and basic eggs, toast. I would have preferred Thai food. It wasn't bad but it was nothing to write home about. There are other restaurants really close by though so it didn't effect my stay. I would stay here again if I can get back to Bangkok. Being a solo backpack traveler, I opted to stay in a single bedroom and had to share a bathroom with other budget conscious travelers. The room was small but very clean and the bed was very comfy.The shared bathroom is spacious and very well kept and clean. 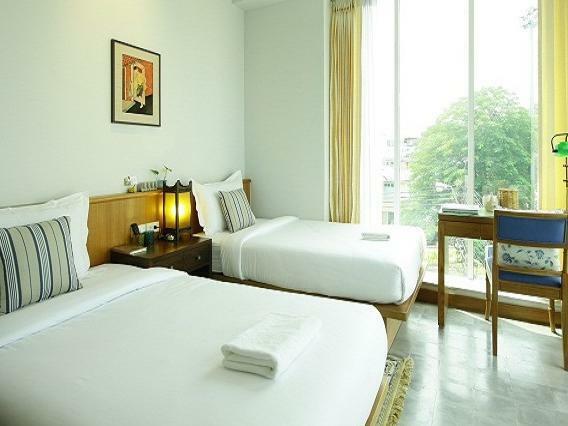 The hotel is strategically located along the Democracy Monument rutonda, a stone's throw away from lively Khao San Road. Just outside the hotel, It is very easy to catch a taxi or tuktuk ride to anywhere. It is quiet in the bedroom even if there is constant traffic outside the hotel. The hotel staff are very polite and accommodating. Good place to stay for solo traveler. Very clean and pleasent room. Excellent Wifi coverage. Only one point to bear in mind, those rooms facing the Main Street are very noisy. Be readied to play in Khao San until 2 in the mid- night. ทีวีดูได้ช่องเดียว และแอร์รั่ว ไม่มีรองเท้าแตะให้ ไม่มีไดส์เป่าผมให้ สอบถามเจ้าหน้าที่แล้ว แจ้งว่ามีเฉพาะห้องที่ราคาแพง ซึ่งก่อนจองห้อง ในรายละเอียดตรงนี้ ทางที่พักแจ้งมีสิ่งอำนวยความสะดวกเหล่านี้ให้ อย่างไงรบกวนให้ Agoda แจ้ง และแก้ไข ณ จุดนี้ด้วยครับ I can watched the TV only one Chanel also the air conditioner were leak at night (have some water spit out form the air con). I get some information from the hostel about hair dryer and slippers before I have booked they support but when i stayed there they don't have. however,i asked the staff about that he told they not support to my room.